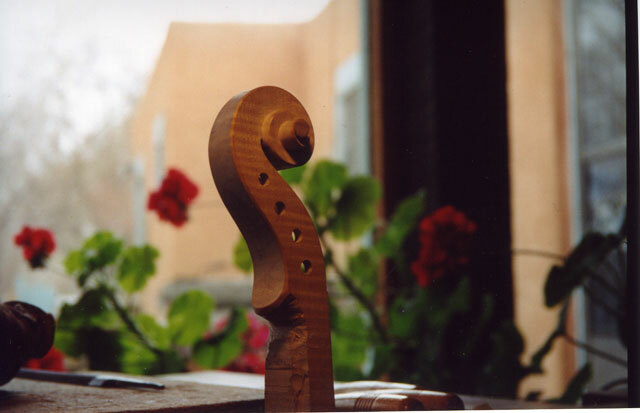 I have been making violins for nearly twenty years now. I studied violin making in the Italian tradition with Charles Ervin (who studied with Giovanni Battista Morassi in Cremona, Italy). 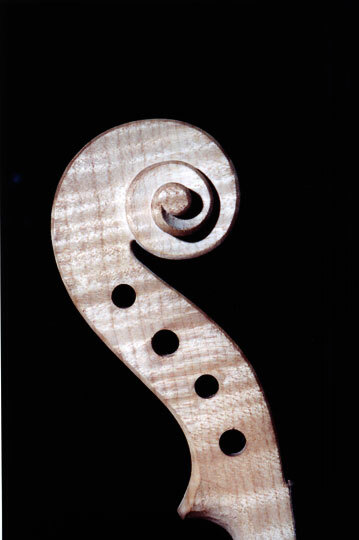 All violins I make are hand-crafted in this Italian tradition using the finest wood and fittings available. I use European maple for the back, sides and neck and European spruce for the top. I typically use custom made ebony fittings (because they go so nicely with my varnish). I can use other materials upon request. In 2000 I was fortunate enough to be able to go to the Cite de la Musique in Paris and take measurements and produce drawings of the Provigny (Stradivarius 1716) and the Alard (Guarneri del Gesu 1742) violins. The violins I make are patterned after these two violins. 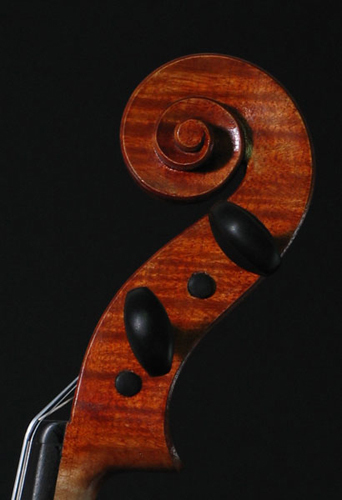 The Strad gives for pure, clean tone whereas the Guarneri is full and rich with deep overtones. 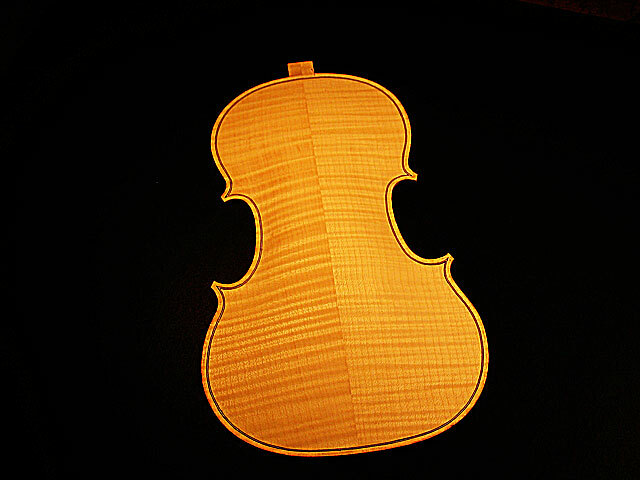 Because of the width of the middle bouts, I found the Guarneri difficult to play. I pulled those bouts in about 1 mm on each side and it made for a much more playable instrument without adversely affecting the tone. I use a cooked resin oil varnish colored to match the customer’s preferences. This is a very soft and elastic varnish that focuses and warms the overall tone of the instrument quite nicely as compared to “in-the-white”. It takes a while to apply and rub-out (up to a month) but the results are well worth the effort.